Though a carefully plotted romance, thriller, or mystery can accurately capture women’s lives, the more difficult to define genre of literary fiction is often where meaning is sussed out from the everyday. Day-to-day life and fantastical journeys are not in competition — one is not necessarily “better” than the other — but it depends on what one is looking for in their reading experience. Oftentimes, when we see elements of ourselves reflected on the page, we can better empathize with others. Here are three books that explore the lives of women, each in their own way. Your reaction to to Cutting Teeth may well depend on your experiences with “Mommy Groups,” those carefully orchestrated playdates with other parents and their similarly-aged children. Jumping back and forth to different points of view, Fierro examines the complicated personal relationships within one of these groups. There’s the OCD mom who is convinced some mega-virus is going to wipe out electronics (which is only the most intrusive of her intrusive thoughts), there’s the lonely and flirtatious single mother (who is also trying to steal another mom’s nanny), the dad who wants to be perfect and have more children (though his wife isn’t into it), the lesbian couple who are trying to navigate parenthood and careers — all these people, their significant others, and a gaggle of children. They decide to take a beach holiday together, and many of the tensions within the group can no longer be ignored. Some readers may think, I know these people, while others may say, I’m so glad I don’t. Mostly, I’m the latter. Cutting Teeth is a funny book, but it also made me feel as though I’d dodged a bullet by never getting involved in performative parenting and the need to do everything as expected. Stressing out over preschools and nannies and constantly providing enriching activities for the kids just sounds… hellish. At the same time, I recognize that every kid and every parent is different, which is much of what Cutting Teeth is about. What appears on the surface is rarely the whole story, and by willingly not understanding each other, we can make our interpersonal problems that much worse. 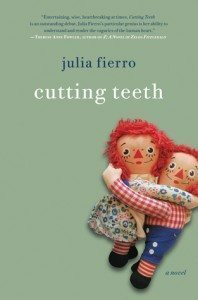 Julia Fierro has written a very honest book, one that makes a good argument for unlikeable main characters. Clever Girl follows a young woman named Stella from the 1960s until modern day. She grows up with her single mother in Bristol, England, and eventually goes on to have a series of failed relationships, producing two children whom she loves fiercely, even if she doesn’t ever feel like she’s got this whole “motherhood” thing down. Frequently, she feels the need to escape her own life, just for a little while, until she can better handle its pressures. What I like about Tessa Hadley’s writing is its detail. 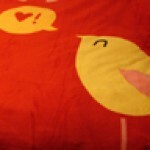 She describes scents particularly well — the top of a small child’s head, a lover’s neck, the cool air of early evening. Calling these different stages of Stella’s life “snapshots” is particularly apt because one can stare at a photo and see the texture of a chair, the way the light reflects off a person’s hair. She somehow manages to convey all the lust, loneliness, longing brimming in the woman’s heart through the use of a few succinct phrases. 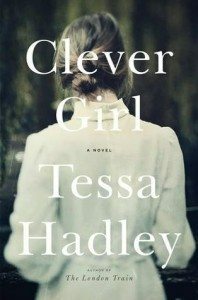 Writing rarely feels more true than when I’m reading Tessa Hadley’s books. 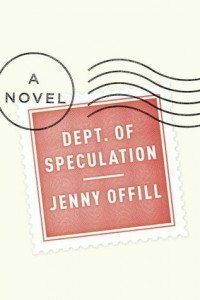 Released in early 2014, Jenny Offill’s slim novel has found its way into the hearts of restless creative types, captivated by way she presents her story of one couple trying to make their relationship work. Each chapter is quite short — the words could fit on an index card — but she makes them count. The characters are not named, but are instead simply “the wife” and “the husband.” The wife talks about their lengthy relationship — the challenging baby, moving, affairs, how they present themselves to friends — but she also talks about her work and what it means to her. She discuss reading, art, escape, and how she never quite feels like she’s doing enough to explore her passions because she’s also so consumed with their daily problems. With its short chapters, Dept. of Speculation also lends itself well to dipping in and out of its pages to remind oneself of its little bursts of feelings, but it’s also a good book for a full reread. Watching the reality of another couple’s ups and downs inevitably inspires reflection on one’s own relationships. How can we improve? Are we past the point of no return? What great books with female leads have you read lately? Give a shout in the comments.